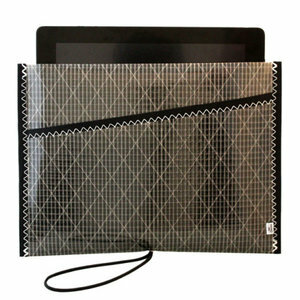 An underlying black spinnaker cloth shines through thesmoke coloured laminated mesh of white threads to give the iPad case its luster. Sailcloth is water resistant and easy to wipe clean. Your iPad 1,2 or 3 fits into the case, there is a practical pocket on the outside.